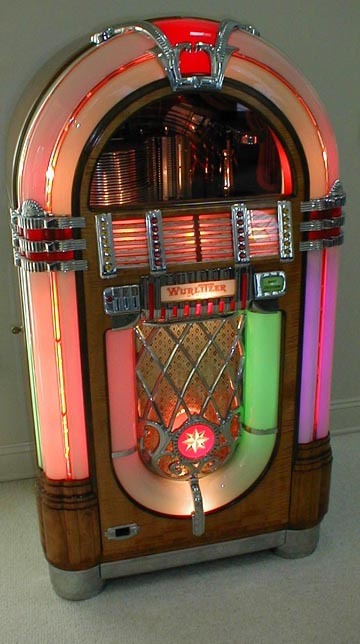 The anchor of this part of the collection is the Wurlitzer Model 1015 Juke Box. Originally built in the 1940's, it was completely restored in 1990. 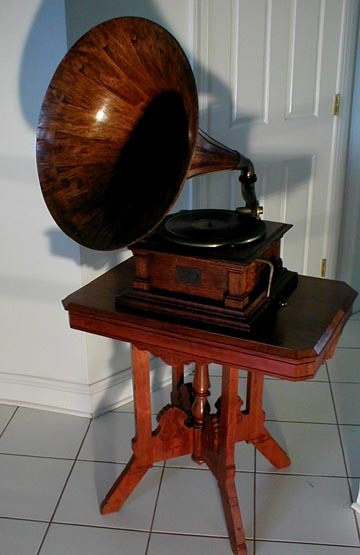 It plays the original 78 rpm records for which it was intended. When playing, it displays a blizzard of colored, moving lights with a rising bubble effect in the colored tubes. The sound is louder and deeper than many of today's expensive sound systems. This Coca Cola Model 44 Vending Machine was made in 1956 by the Vendo Co. just as Coca Cola pricing rose to 10 cents for a 6 1/2 ox. bottle. The machine was restored in 1989. The Mills Silent Mystery, nicknamed "The Blue Front" was made in 1934 and restored in 1980. It still accepts nickels and dumps its jack pot window with a loud crash when 3 bars show. 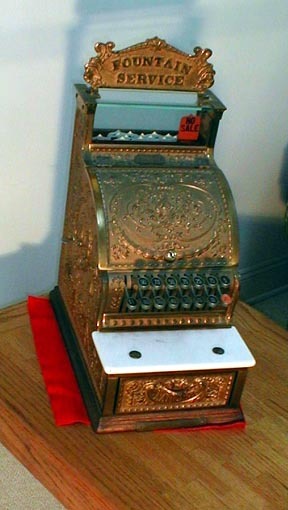 The Jennings Century Triple Jackpot was made in 1934 and restored in 1980. It accepts dimes and has three seperate jackpot windows which pay in succession upon hitting 3 bars.